How do you know that the high speed scope is displaying the real signal with accurate edge rate or ringing? 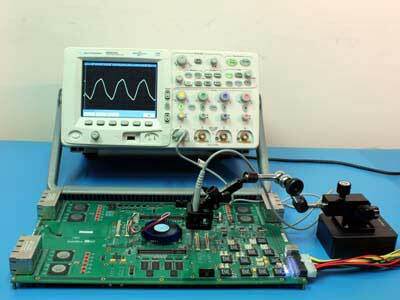 Engineers should consider several important factors, such as scope bandwidth, cable and probe bandwidth. 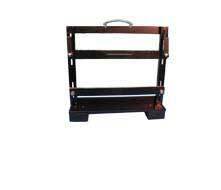 Use strong and stable vertical PCB holder with one microscope on each sides. The microscope mounting must be independent of the probing station so that the movement of the microscope arms will not shake the probe station. 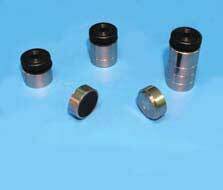 Using two microscopes is necessary because the contacts on both sides must be verified constantly to ensure the adequate probing pressure. A durable probe is desirable because the PCB movement might damage the first probe already landing on the test pads while the second probe on the other side touches the PCB. Probe tip pressure might be larger than horizontal probing because of visual difficulties. 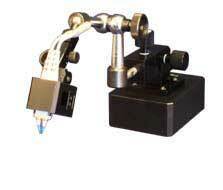 GHz durable probes are available on our web site. 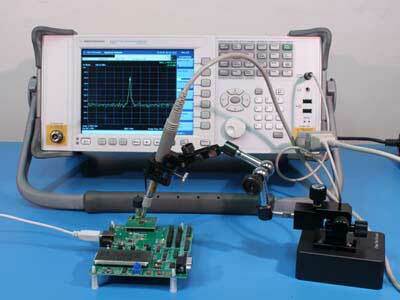 Try to avoid vertical probing by taking measurement on the same side of the PCB. Use de-embedding to remove the unwanted fixture trace or connector. Build a symmetric structure on your DUT, so that you can probe on the same side of the PCB. 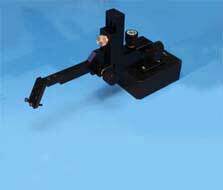 For vertical probing, setup the probe vertically with flexible probe holders.